Founded in 1986, by Russell Plaisance and based in Cut Off, Louisiana. Initially envisioned as a small management firm for barges. 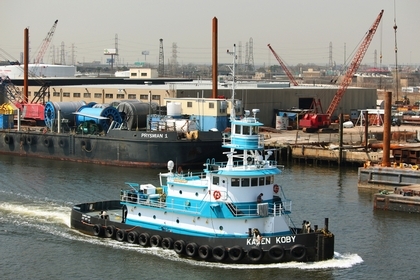 The company grew to manage barges, and has aquired or tugs and constructed another. The La Carriers Transportation Service Incorporated is a privately held company. With their yard located in Bayou Lafourche, Louisiana. The company is transporter of bulk commodities along the Gulf Coast and throughout the inland waterway system.